/** This hook updates platform configuration files based on preferences and config-file data defined in config.xml. Currently only the AndroidManifest.xml and IOS *-Info.plist file are supported. 1. config-file elements MUST be defined inside a platform element, otherwise they will be ignored. that the child data will replace or be appended to. 4. config-file elements are uniquely indexed by target AND parent for each platform. selected by by the uses-permission name attribute), the last defined element will be retrieved. 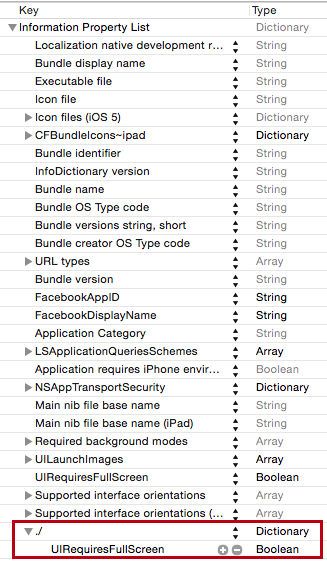 NOTE: Currently, items aren't removed from the platform config files if you remove them from config.xml. For example, if you add a custom permission, build the remove it, it will still be in the manifest. or revert to your previous manifest/plist file. TODO: We may need to capture all default manifest/plist elements/keys created by Cordova along with any plugin elements/keys to compare against custom elements to remove. and then modified by Marco Carnazzo ( https://github.com/marcocarnazzo ). This hook is in public domain. /* Global object that defines the available custom preferences for each platform. //Windows is the BOM. Skip the Byte Order Mark. /* Retrieves all <preferences ..> from config.xml and returns a map of preferences with platform as the key. If a platform is supplied, common prefs + platform prefs will be returned, otherwise just common prefs are returned. 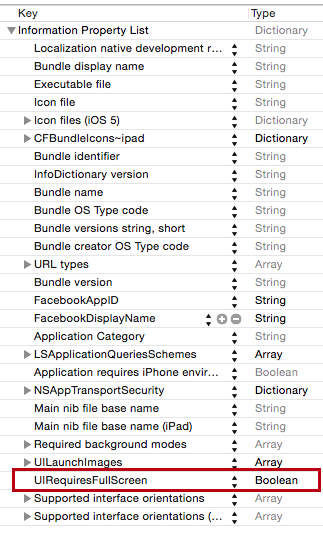 any config-file elements per platform that have the same target and parent, the last config-file element is used. This is a very useful hook! Thanks! The change seems less than ideal, but I wasn't sure of the implications of changing the code in getConfigFilesByTargetAndParent that defaults the ./ value. This was extremely useful! Thank you very much. I made a slight modification in my project to keep any other attribute values along with ones defined in the config.xml. I only made the modification for the android manifest but I would imagine it wouldn't be too difficult if needed for iOS. Thanks @marcocarnazzo , this is useful hook. I had some trouble with old dependencies, and the error logging was not helpful, because it caused an error itself. stdout.write needs to take a string, not an exception object. Thanks @marcocarnazzo, this is really very helpful hook. But I got xml error while building an android application "error: Error parsing XML: unbound prefix". in widget tag at the top in config.xml file. Hope this helps someone. This is awesome - thank you! @mtshare, you need to make the change mentioned by @ceoaliongroo and @pranit21 to make this work. Can we put this under source control again? It would be helpful to be able to submit pull requests. This is not working in Xcode8 + iOS10. I am unable to find the exact bug, but the app doesn't start if this script is running and changing the plist file. If I remove this script the app runs fine. Also, the custom config that I am trying to add with this script, if I add the exact same value manually in the plist file via editor - the app works just fine. I suspect something is wrong with respect to the Xcode8 ! Which crashed the app when you run it on the device. The issue is with plist@2.0. * (see issue: TooTallNate/plist.js#79). Workaround: Just roll back to use plist@1.2.0. @halyburton Thanks for the hint! There seems to be something wrong with parsing ~ characters, but I got no idea where that comes from. In the end I just wrote a script to add my plist stuff to the platforms/ios/<project>/<project>-Info.plist file. This hook helped me a lot though! @marcocarnazzo this hook was very helpful, thank you! As others have noted I needed to change _.indexBy to _.keyBy in the getConfigFilesByTargetAndParent method. After that my plist is perfect, no more needing to edit manually! @ThorvaldAagaard your error is related to @AgDude's comment about error reporting. You're not seeing the original error. Change the code as per @AgDude's instructions and you will see the actual error. GitHub does not notify by about your comments. I just edited this hook as you suggest (thank you!). I also write something about re-use of this code (public domain: use it as you like!). Just a note: I'm not using Ionic anymore so this code is unmantained.